Last summer I had the opportunity to meet Becky Higgins, a dream come true… I love everything she stands for! 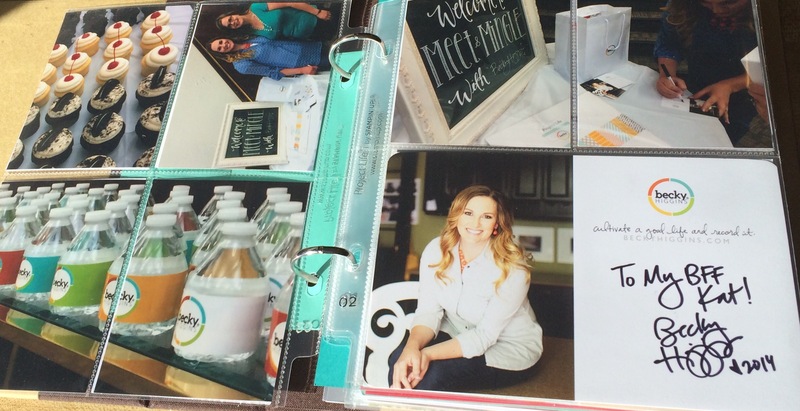 Today I am sharing my Project Life Layout from that day! 1. Using one picture over multiple layouts (like the beautiful water bottles, would you expect any less and the picture of Becky signing my card. 2. The cupcakes was a 4×6 that I trimmed down from original no pre-formatting done. 3. Of course, I used the picframe on my iPhone to create 3×4 of Becky & I. This entry was posted in Project Life and tagged life, Project Life on February 5, 2015 by katzcreates.